In Southeast Alaska the two are inextricably connected. The natural resource based economies, traditional foods and subsistence lifestyles, and unique quality of life found in Southeast Alaska’s rural communities depend on healthy, productive watersheds. And equally, the health and productivity of our region’s natural resources depend upon informed communities with the capacity, resources, and leadership to sustainably manage their local watersheds to maintain ecological integrity, while benefiting their economies and residents’ quality of life, and allowing for community growth and development. 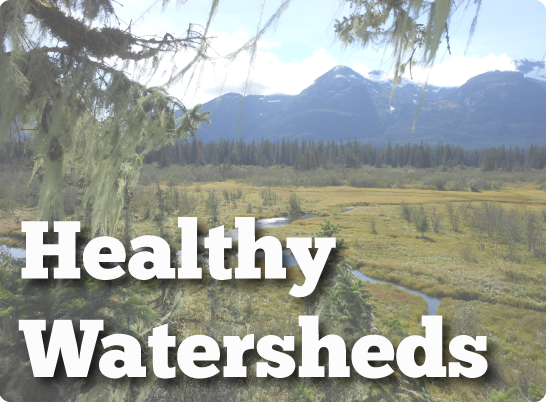 The Southeast Alaska Watershed Coalition works to promote and support healthy watersheds and strong communities in Southeast Alaska. We focus on informed community watershed management and we value the long-term sustainability of Southeast Alaska’s communities and wise management of the region’s watersheds. We believe our work is important because healthy and productive watersheds are the life blood of our region’s communities, natural resource-based economies, subsistence lifestyle, and overall quality of life. We work to build the capacity of the region’s communities to implement local and collaborative approaches to the management, development, and stewardship of the region’s watersheds. Our mission is to inspire Southeast Alaskans and support community organizations working toward the wise management of our region’s watersheds. 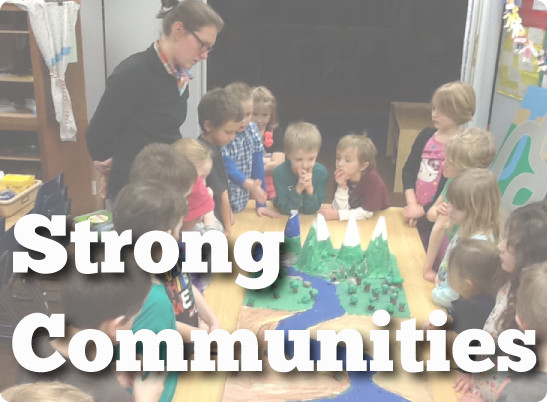 Over the past 10 years we have done this by building the capacity of community organizations to identify, develop, and implement local and collaborative approaches to the management, development, and stewardship of the region’s natural resources. In addition, we are carrying our mission forward by developing policy that promotes sustainable community development through incentivizing watershed restoration and enhancement in Southeast Alaska. Zoom in, pan around, and click on icons to learn more about community watershed projects and programs happening throughout Southeast Alaska! This map is being continually updated as new projects and programs are implemented throughout Southeast AK. Check back often to see what’s happening!